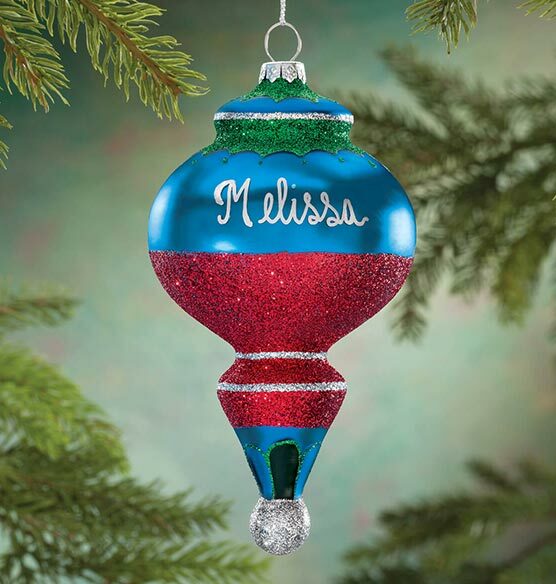 Shining with nostalgic style, this Personalized Retro Glittered Reflector Ornament looks like a treasure from your grandmother's collection. Inspired by old-fashioned European artistry in every detail, the teardrop reflector features a recessed silver center for stunning dimension, light-catching rhinestones for added sparkle, and brilliant glitter finish for light-catching shimmer all around. 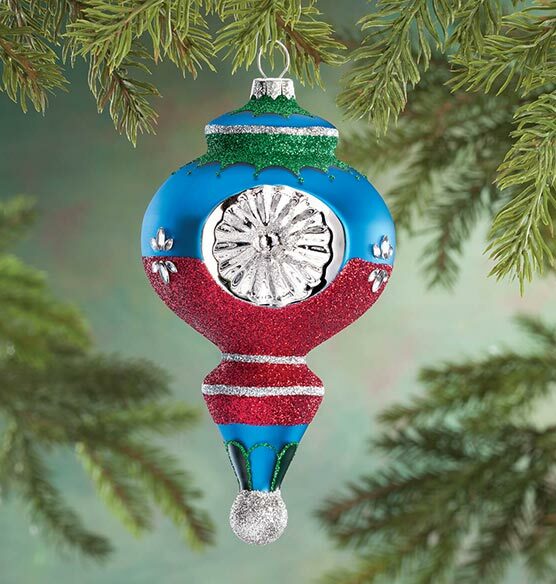 A timeless addition to any Christmas tree, this vintage-style Christmas ornament becomes your own custom treasure when personalized! Specify name; limit 1 line, 8 letters/spaces. 3 1/2" W x 6" H.
I bought it for my son. He thinks it's great! This was a special gift for newly engaged couple to use on their first tree. If I could afford it I would buy another dozen since I have a large family....they are sheer perfection. If they drop the price lower I would do just that!